We're so proud of our 'can do' attitude and would love to be part of your wedding. 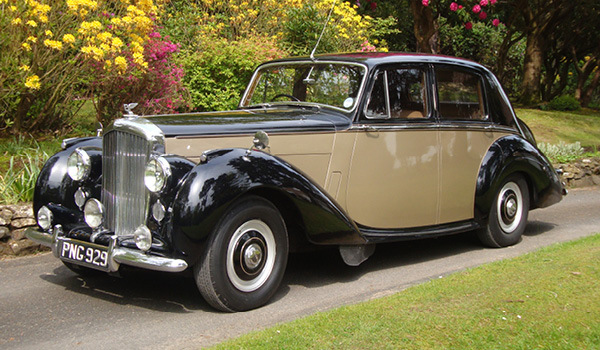 We have five beautiful, genuine classic wedding cars available for hire - all driven by passionate, experienced chauffeurs - and our prices include ribbons, champagne, scenic routes, photo stops, free bridesmaids trips where possible and no unreasonable time limits. Please see the many kinds words that couples have written about us, and if you wish to view any of our wedding cars prior to booking, then please get in touch. We're based in Buxted, and our wedding cars cover Sussex and most of Kent including Brighton, Crawley, Eastbourne, Hastings, Tunbridge Wells, Uckfield, Haywards Heath and most surrounding towns and areas. Our Bentley wedding car looks stunning with sweeping lines accentuated by the beautiful colour scheme, and original leather upholstery. 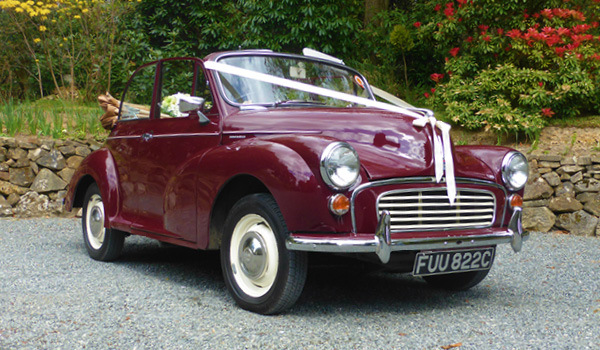 Our charming Morris Minor open top wedding car is perfect for country weddings with cherry red exterior and tan leather interior. 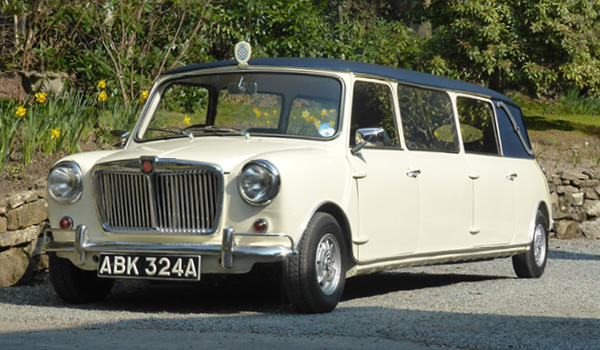 Our stretched Mini limousine is unique, perfect for those with an affinity to this British classic, or those looking for a totally different wedding car.